Our greeting card 'Love Your Bum' is the perfect way to say I love you to the woman in your life without being too soppy. Designed and handmade by Slice of Pie Designs. 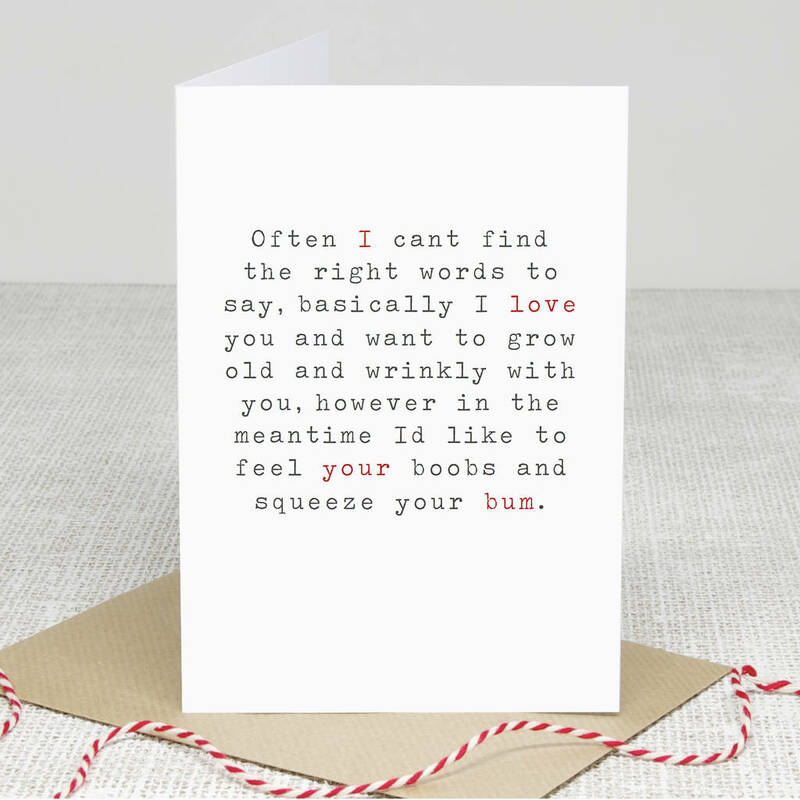 This card is funny, cheeky and romantic all at the same time! 'feel your bum' is picked out in red so it pops off the page. This card is a wonderful way to say those three little words!